Why are cardboard gift boxes the most suitable packaging for camellia oil? With the growing awareness of healthy diet, green products have gradually caught consumers’ eyeballs. Camellia oil is a type of cooking oil drawn from seeds of camellia. Its production process can be divided into: shelling, drying, crushing, steaming, oil extraction and filtration. Every step is a physical method. It is a true pure natural green edible oil. Camellia oil is a totally new oil category and is mainly produced in mountainous rural areas. It has always been regarded as a royal tribute from the mountains. It is known as the "oil king" and is superior to olive oil in nutritional value. Camellia oil allegedly has effects of anti-aging, hair conditioning, emollient and Anti-microbial, etc. Camellia oil also has the nickname of "longevity oil" and is especially suitable for middle- and old-aged people. Despite all the benefits of camellia oil, not many people know about it. How could that be? A good product entails a good packaging, not necessarily expensive, but the packaging represents the immediate image of the product inside and the brand behind. Therefore, not only should the packaging appeal to the consumer visually, but also help convey the merits of the product and the brand. Camellia oil, as a new thing to the general public, requires a proper and selling packaging. Cardboard gift boxes packaging, compared with other materials, has distinguished advantages. To name a few, cardboard gift boxes are more convenient, affordable, and environmentally friendly than wooden or plastic boxes. Find more food retail packaging from Innove Packaging: food gift boxes packaging with handles, window food boxes, 16-inch large cardboard gift snack boxes with lids, foil lined cardboard tube food packaging containers, food safe natural kraft box and 3" retail food packaging containers,etc. How to Select Cardboard Gift Boxes Supplier? The surface smoothness for general-purpose gift boxes must be kept within +/- 1mm. This is the minimum requirements to make sure they look good. And this also, to some degree, represents a gift boxes factory’s level of workmanship and quality control. Color can make or break the custom printed gift packaging. If you see gift boxes with distinct color discrepancy, and you can just cross the maker off your vendor list. A purpose of gift boxes packaging is to add a touch of aesthetic and luxury. If a factory fail to realize the desired color effect, chances are it’s a poorly organized company! 3. Brightness and viewing angle. The brightness and viewing angle of the appearance of the paper can also be checked. From every direction, the cardboard gift boxes should be bright and gives a high-end look. Safety is also critical for cardboard gift boxes, especially when it comes to the packaging of food and tea boxes etc. For all the emphasis on quality, there are many other factors that can be taken into account, such as pre-sales & after sales support, designs,response time and supply ability, etc. When ink is applied to food packaging as a printing material, it must be non-transferable. Prints in food packaging should not use conventional inks. The printing company must ensure that all the solvents in the ink are completely volatilized after printing. The ink needs thorough curing and meet the corresponding industry standards. In current printing for plastic food packaging, benzene-soluble chlorinated polypropylene inks are the most widely used, both the manufacture and use of which are in good practice. Such inks are mainly used in the printing of BOPP (biaxially oriented polypropylene) materials, and through gravure. Despite the benefits of good printing suitability & post-press processing performance and fast drying, they also have as big disadvantages. Firstly, the solvent residual in prints from such inks is high and toluene is toxic. Secondly, as the thermal stability of the chlorinated polypropylene is poor, the solvents tend to release chlorine to form hydrogen chloride during the production and storage, which makes the ink more acidic, causing severe corrosion to the printing plate roller. Also, the benzene-soluble ink can destroy the ozone layer and cause harm to workers' health and safety during use. And the residue remaining in the packaged product will cause a certain degree of contamination of the food in the package. This type of inks are phasing out, and regulations for prohibiting or controlling the use of this ink have already been developed in Europe and some other countries. Because of the problems of benzene-soluble inks, environmentally friendly inks came into being. The use of environmentally-friendly inks does not pollute the environment, nor cause physical harm to the operator, nor incur contamination to the contents. Water-based ink is the ink used in most of the flexographic packaging printing at home and abroad. It is mainly processed by composite grinding of water-soluble resin, organic pigment, solvent and related additives. Water-soluble resin is a joint of water-based ink. Water-soluble acrylic resin is often used as a binder in China. It has significant advantages in heat resistance, weather resistance, chemical resistance, pollution resistance and gloss, regardless of direct dispersion. Dissolved or synthetic polymer emulsions, all exhibit excellent performance. Water-based inks do not contain volatile organic solvents, which not only reduce the toxicity of printed residues, but also prevent fires caused by contact with static electricity and flammable solvents. Water-based inks are not only a new type of "green" printing ink, but also the best alternative to benzene-soluble inks. UV-curable ink refers to a type of ink that dries or cures under a certain wavelength of ultraviolet light. It involves a cross-linking photochemical reaction, where a solid-state ink is converted from liquid. UV-curable inks are primarily used for flexo printing over flexible substrates. They consist of prepolymers, reactive diluents, pigments, additives, photoinitiators/compositions. 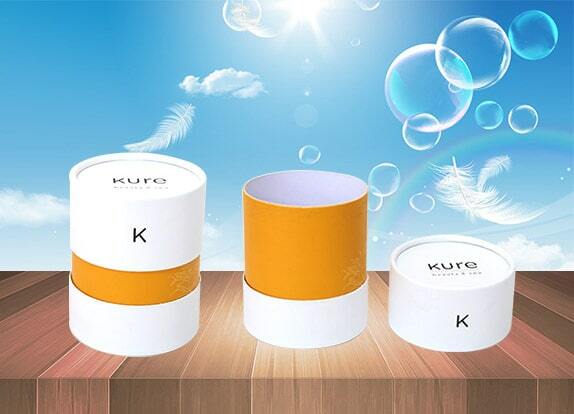 The choice of reactive diluent has an bearing on the migration reaction in the ink formulation; the additives would regulate the ink performances (printability, ink migration, substrate wetting, friction coefficient, abrasion resistance, pigment dispersion and stability) and the odor of the prints. the spectral range of the pigments’ absorption of ultraviolet light should be kept minimum The ideal pigment should have good dispersibility, good leveling property, strong coloring power, and low UV absorption under light irradiation, and not harmful to the polymerization reaction. When printing with UV-curable inks, attention should be paid to the inhibition of polymerization, surface tension and wetting, the correlation between viscosity and humidity of the ink, and the expansion of the printing plate. Because of the poor adhesion of ink to plastic, it’s necessary to perform flame treatment or corona discharge treatment on the printed plastic. EB-curable ink refers to a type of ink that can be quickly converted from liquid to solid under the irradiation of a high-energy electron beam. Since electron beam has high energy, and has strong penetrating power for solid components such as pigments and fillers, thus pigment or filler won’t block the drying. Clothes make the man, that’s also true to products, especially vanity products like cosmetics. Somehow, packaging is vital to commercial success of cosmetics. Humans are visual "animals", we all like beautiful things. Furthermore, if a product does not make any change in packaging for years, then we have good reason to doubt the cosmetics brand. Of course, gift packaging styles vary largely in different target markets. There’s not a single standard that fits everywhere. Below are some opinions based on China markets only. 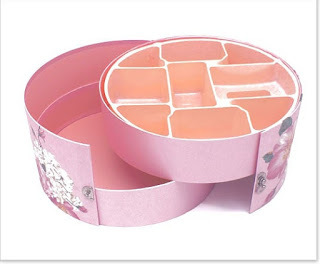 Therefore, the pattern of the cosmetic packaging boxes must be clear, soft, elegant and beautiful. Don't stuff too many pictures, otherwise it will not highlight the key messages you want to convey. And the color matching of the box is very important, for example, most women like white, red and pink, which are called women's colors, women's products packaged in such color boxes may easily appeal to them. However, most men seem to like serious & solemn black, therefore, black is also called men’s color. Thus men's commodities packaged in black can be favored by men. Cosmetic color box packaging should accurately convey product information, as well as the shape, color, and pattern used in packaging. Do not violate people's normal habits. After all, the good feeling comes directly from the feeling of the shape, color, pattern and material of the package. The most important thing is the box design of the cosmetic color packaging box. They can be specially designed according to the shape and size of the cosmetics. Different packaging materials, shapes and patterns are employed based on the cosmetics classification of being high-end of mid-grade. The packaging position of class goes a long way in cosmetics brand image and sales. 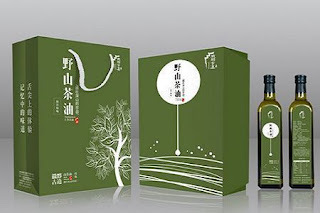 While luxury packaging is advisable for cosmetics in China, simple & green packaging is popular in some other countries. There’s no one-for-all packaging solution. All the packaging companies can do is to design and make custom gift packaging boxes that fit the customer’s specific brand positions and market segments. Innove supplies various cardboard gift boxes for cosmetic packaging: custom round fragrance gift boxes, rose gold round skincare boxes with telescopic lids, handmade personalized perfume gift boxes, hexagonal shaped explosion boxes, eye primer cosmetics boxes, small makeup brush gift packaging tubes, skincare packaging boxes with clear lids, bulk lip balm containers and kraft paper push-up lipstick containers etc..
What is spot color printing in cardboard gift boxes? Spot color printing(专色印刷) is a printing process involved in offset printing, using a spot color ink (pure or mixed) specifically formulated according Pantone code. It’s a single and extra run other than the general CMYK 4C printing process, and thus requires its own lithographic film. Then on what occasions is spot color printing necessary? (1) When the cardboard gift boxes designs involve gold or silver color. Golden and silvery colors differs greatly from rest colors and are extremely opaque. Thus they are impossible to realize on the print by regular CMYK offset printing process. In this case, spot color printing can be used to achieve golden or silvery tones (An alternative method to foil stamping). (2)The prints often comprise uniform color areas of varying gradient colors and text. These color areas and texts can be achieved either by the process of registering in offset printing or by spot color printing. With comprehensive trade-off between improving print quality and saving the runs of registering, it is sometimes necessary to use spot color printing (An alternative method to registering). Spot color printing uses a non-standard offset ink such as metallic, fluorescent, or hand-mixed ink. Every color needs one lithographic film and an extra printing run. Also, the potential for problems will generally increase. All these will be factored into the total cost of the final gift boxes.